Systemic Racism, White People, and Why Mike Brown is such a big deal. In waiting for the verdict of the grand jury in the Ferguson case, I already knew what was going to happen. I wasn’t shocked by the no indictment. I couldn’t be. It was already decided, already proven way before it had even went to trail – way before it had even happened. It was already decided when it happened in the Trayvon Martin Case, when it happened to Oscar Grant, when it happened to Sean Bell. The verdict was read way before November 24, 2014. That is because there is systemic racism in America. Systemic racism (sometimes referred to as institutional racism) is any system of inequality based on race. It is different from individual racism because it is inequality from a business, system, or other societal structure. It is not based on one person’s opinion, but the rules and regulations of a greater entity. Systemic racism occurs when the way a society is structured systematically ends up giving advantages to some and disadvantages to others. For many African American people in America, white privilege is alive and apparent every day of our lives. We see it everywhere we go, all over our televisions, in politics, etc. A day never goes by that doesn’t remind us that life in America might be a little easier if we had fairer skin. I’ve recently gotten into wearing makeup. When I’m heading to a party, or out for a celebration, I like to dress up my outfit with an amazing full face of makeup. I love it. But what I don’t love, is my oily skin causing my flawless finish to shine. 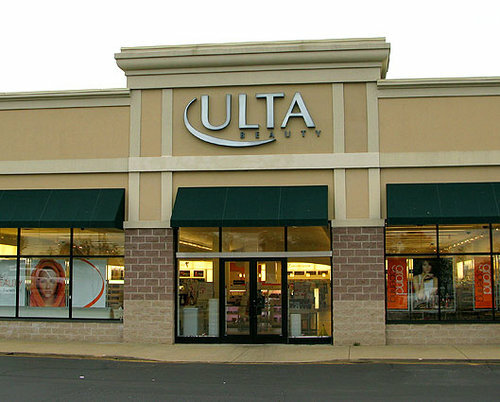 Nothing is better than a matte face, so I visited my local Ulta in a hunt for an oil-free foundation at a decent price. Since Ulta carries many drug store brands, I knew that a representative could give me some good advice for an inexpensive product.